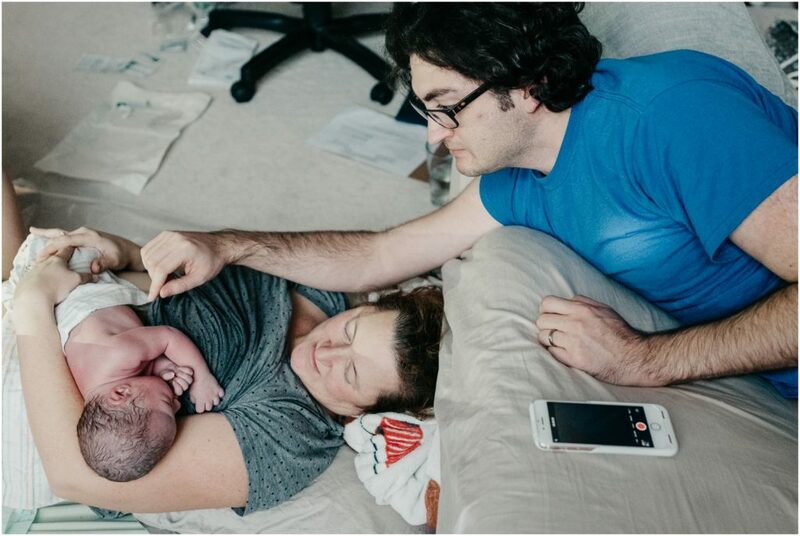 As many of you know, having a home birth wasn’t exactly my plan. 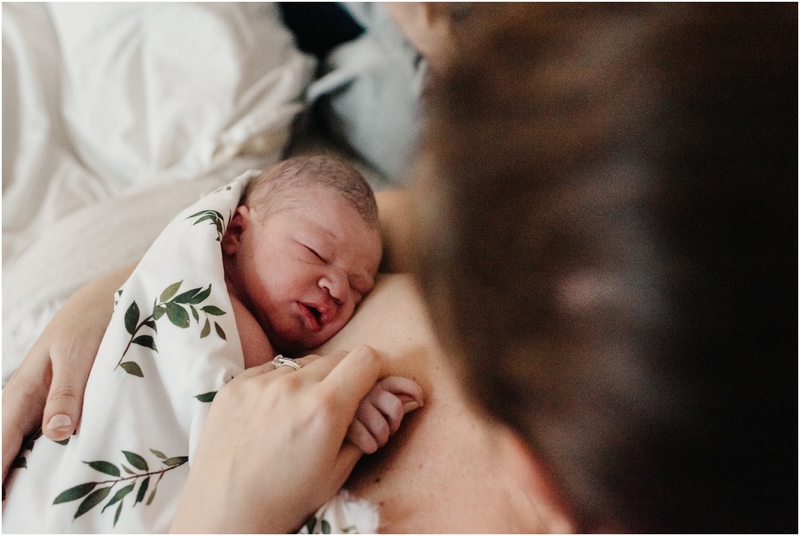 My first born came rather quickly (45 mins of active labour), so I always joked about having this baby on the bathroom floor or on the GO train at rush hour. It was always in the back of my mind, as apparently second births are often twice as fast as the first! Actually, my original plan was to have the baby at Mt. Sinai through Women’s College. I even had an OB and went to a pre-natal appointment there. It just made sense for all of the appointments, as I was working across the road. Eventually though, I decided it was best to deliver somewhere closer to home. With my due date being in December, you just never know with the roads and weather, plus getting downtown at rush hour could be tricky. Of course, any local OB had office hours from 11-3pm, meaning I’d have to miss an entire day of work for any of the appointments (and there are sooo many appointments!). In the end, I ended up going with midwives. 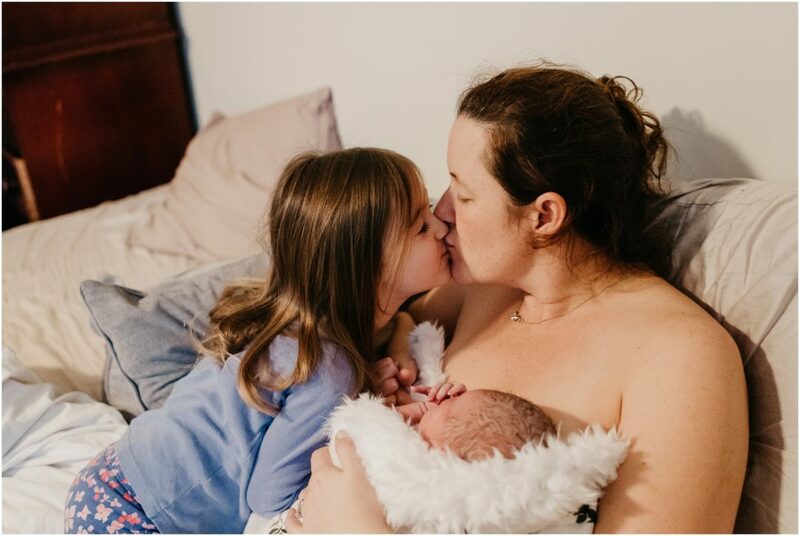 They were closer to home, available for appointments after work hours, were able to provide all of the pre-natal screens that an OB typically would, and I’d heard amazing things from other mom friends. 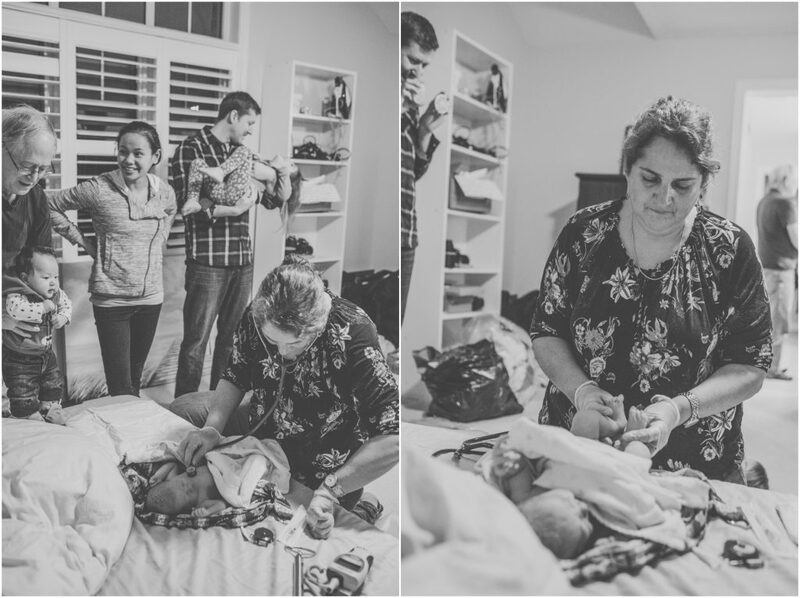 Another huge draw was in-home post-partum care for myself and the baby, which would avoid us having to go to a walk-in clinic in the heart of cold and flu season (like we had to do with my first born, since our doctor wasn’t open on the weekend!). 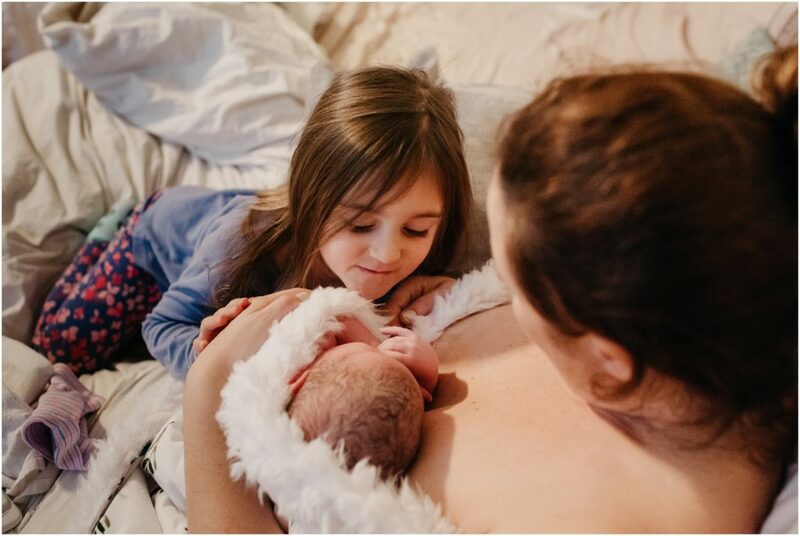 My first pregnancy and delivery had been normal and healthy, so I assumed this one would be too! Despite the pregnancy being a little rougher this time around (ok, ok, a LOT rougher), things progressed perfectly. 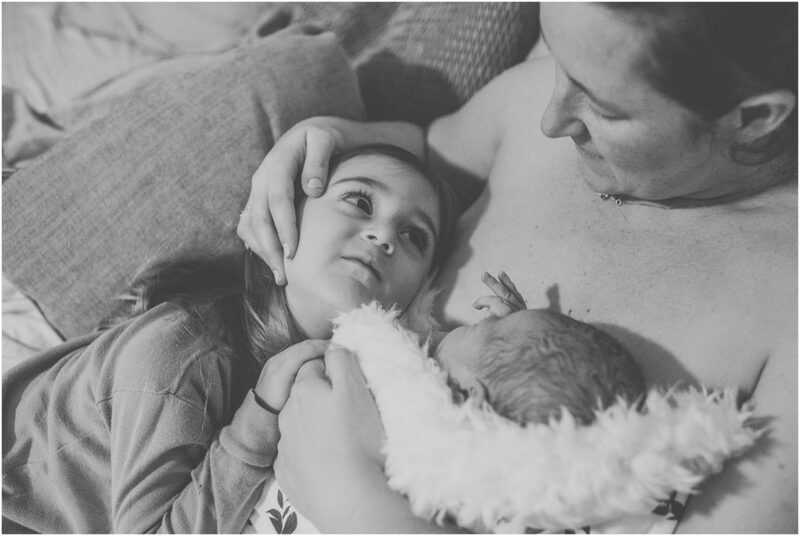 The hardest part about second babies, is your first born! You can’t rest after work because you have to parent. As a photographer and business owner, I couldn’t even rest after that! I’d have to edit until 1am, and shoot weddings on the weekend! It was certainly tough!! As I neared full term, I started to worry about when (and where) this baby may make his appearance. Everyone thought he’d come earlier then Avie did (she was born at 39 weeks 1 day). Somewhere around the 37 week mark, I had a false labour scare. 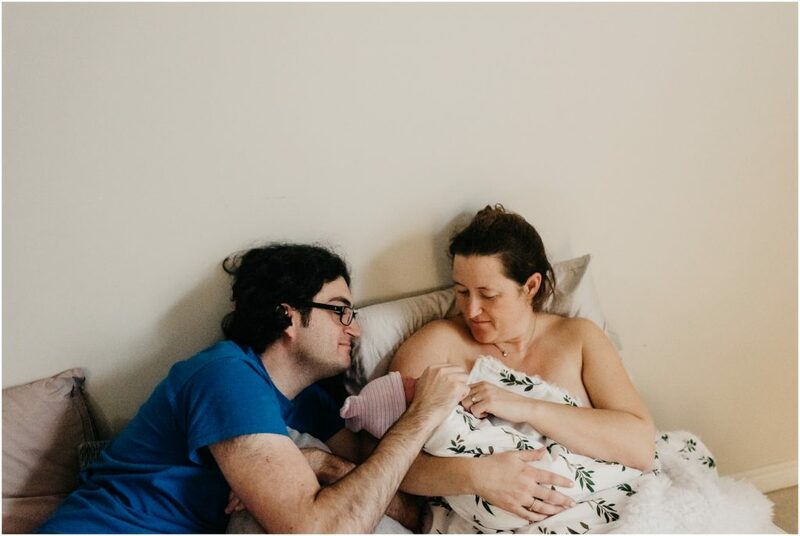 I started having some regular contractions, and scrambled to pack a hospital bag, find the midwives’ emergency contact number, call in the birth photographer, and get my dad to come grab my daughter in the middle of the night! I decided to have a hot bath and see how I felt after that, and the contractions lessened and eventually tapered off. I was a little bit disappointed, as I was soooo ready to be done being pregnant by that point. I was huge and uncomfortable and just plain miserable. I convinced myself that this baby was coming any day now, so it was hard to go anywhere after that. 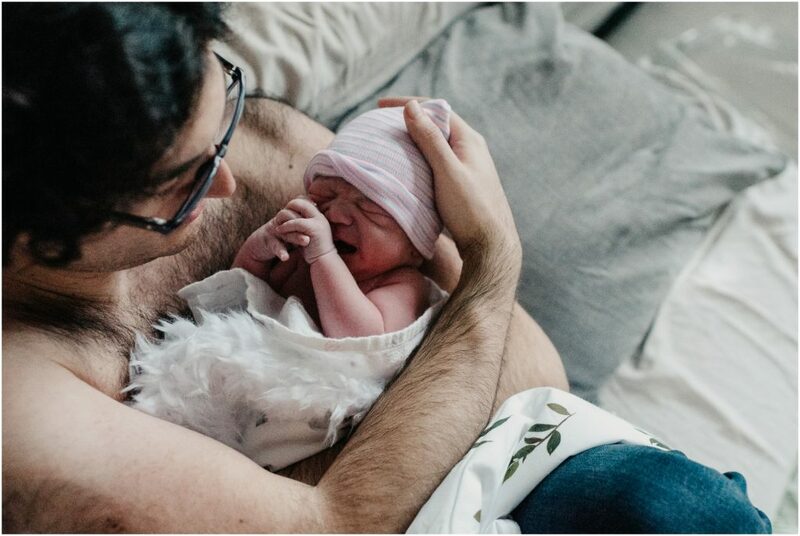 Knowing that my baby would likely come fast, I didn’t want to be stuck on the GO train, the subway, or anywhere further than 30 mins from home. So I essentially stopped working and stayed home to paint and prep the nursery. By 39 weeks, I was just plain disappointed that there was still no baby. Even though I wasn’t even overdue, this baby was late in my mind. After a week of extreme discomfort, some regular contractions FINALLY started around midnight on November 30th (39 weeks 5 days). I still wasn’t sure if this was the real thing or another false alarm, but I called my dad to come over to watch my daughter, and paged the midwife to let her know. It always has to happen in the middle of the night, am I right? 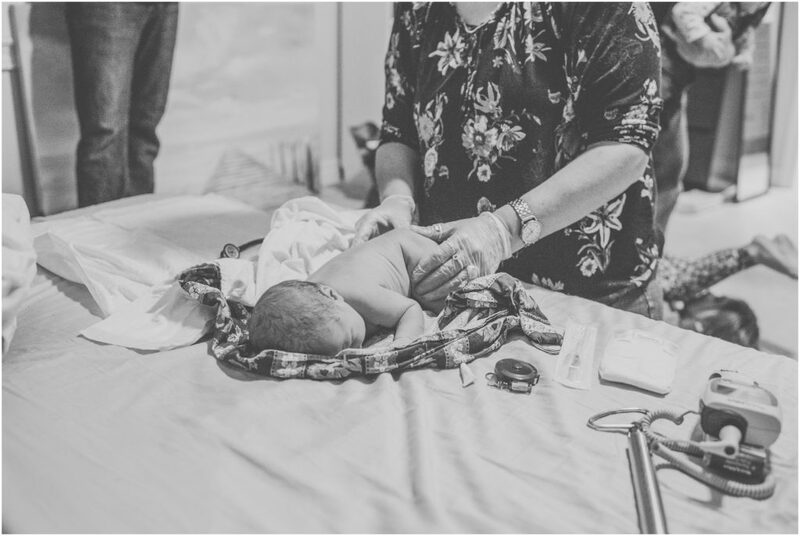 My main midwife (Melinda) was not on call that night, so my secondary midwife (Jasmin) told me we could meet at the hospital, and she said she would call them to let them know we’d be coming in. A few minutes later she called me back to let me know that it was a busy night for labour and delivery, and they were out of beds!!! I would have to go to a different (further away) hospital, in labour, in the middle of the night! No thanks! I had no idea where to even park, or go once we got inside the hospital. Jasmin said she’d be happy to come over to my house to check me instead, and we could make the call from there. If I was still in early labour, perhaps some beds would clear by morning. So that’s what we did. She arrived around 3am, and I was only 4cm dilated. I am glad we stayed home, because hospitals usually tell you to go walk around/go home and rest at this point. 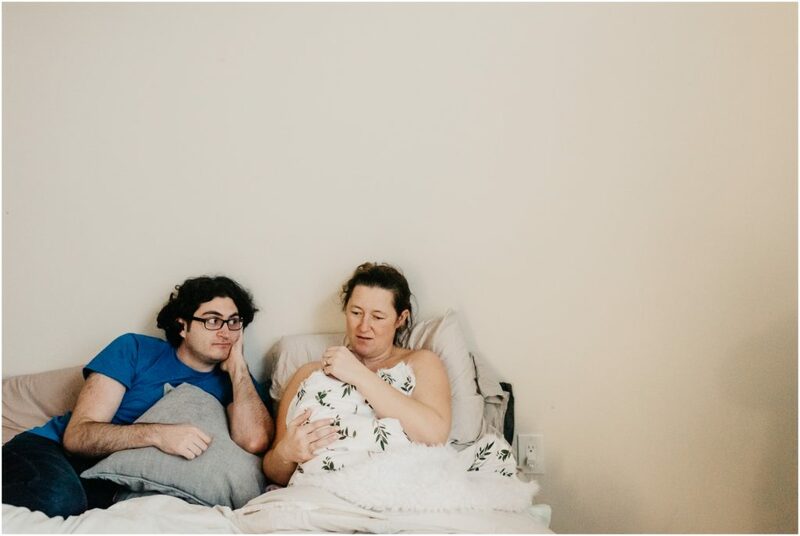 We discussed what to do if the baby decided to come quickly, and set up a birthing area with supplies “just in case” in my bedroom. I spent the night in the jacuzzi tub, dozing in and out of sleep. (Whoever told me not to pay for a jacuzzi tub from our builders have NO IDEA how much we use it!). Contractions lessened, and I got some rest. Jasmin called me back around 10am to see how things were going (man, they have loooong shifts!). Even though things had slowed down overnight, she said she would come back to check on me. She arrived around lunch time, and I was STILL 4cm dilated. Dang! Essentially I hadn’t progressed at all. By this time, I was in a lot of pain. It turns out, the baby had turned sideways slightly, and was now out of position. This was putting a lot of pressure on my back (she called it back labour), but not enough pressure on my cervix to dilate further. This explains why my labour wasn’t progressing, but my pain was getting intense!!! She told me to take some gravol/tylenol and lie on one side, hoping it would get the baby to shift. She left around 1pm, and I went up to bed. Our bed is super soft and squishy, and I just couldn’t get comfortable. There was no way I was going to be able to sleep, it was just too painful. I went back to the bath, hoping that the warm water and miracle jets would bring me some much needed relief. Turns out, they did not. The simple movement of water was just too much! By 2pm I told my husband to get the midwives on the phone again. I couldn’t communicate what I wanted or needed, I couldn’t even speak at this point. I told Porya just to tell them to come back. I got out of the bath, and was lying in fetal position on my bedroom floor. 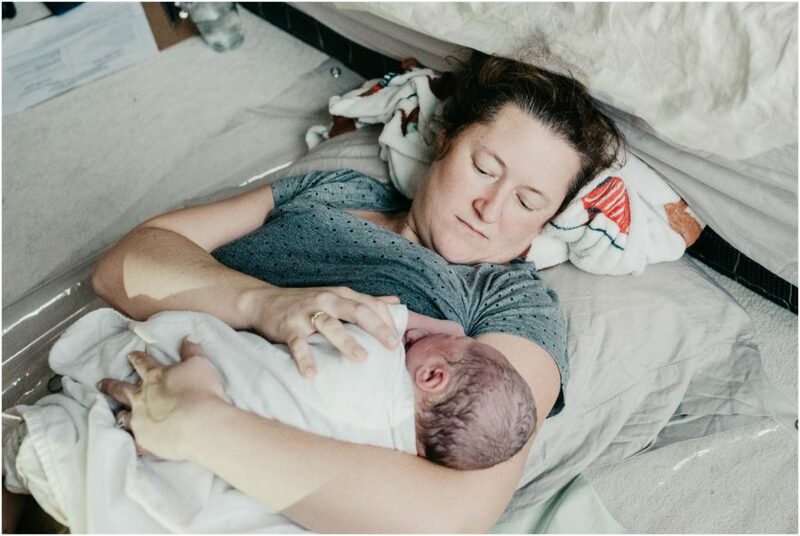 My primary midwife Melinda had started her shift, so she arrived by 2:45pm. She checked me again, and I was 8cm dialated!!! She asked if I was set on going to the hospital. By this point, she would need to call 911, and I’d be taken to hospital by ambulance. Most likely, I would be delivering en route (or possibly trying to get down my stairs)! No thanks! I told her I wasn’t going anywhere, I couldn’t even roll over, let alone move. The thought of having to walk or even get dressed was not happening. 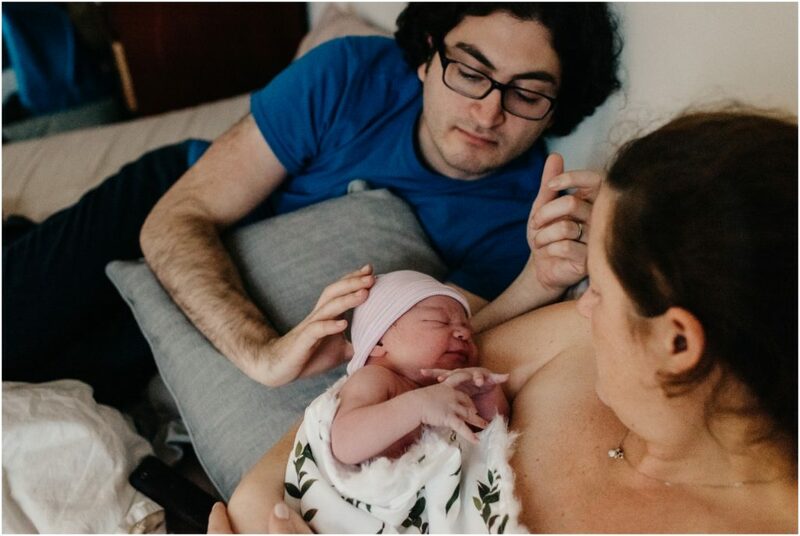 We quickly jumped into plan B. Luckily I had prepped some things the night before…my shower curtain, towels, a bowl of water, olive oil, receiving blankets, cloths, and I had a home birth kit from the midwives. 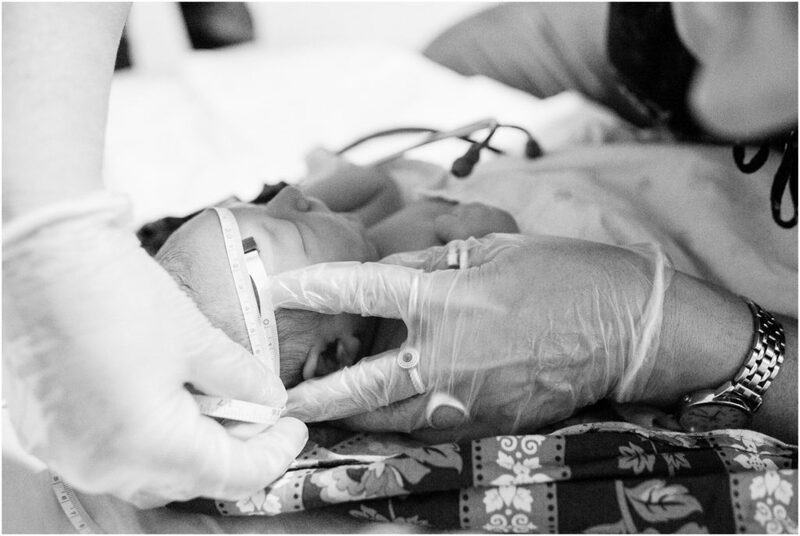 Melinda started to set up her supplies and called a second midwife to assist the birth. 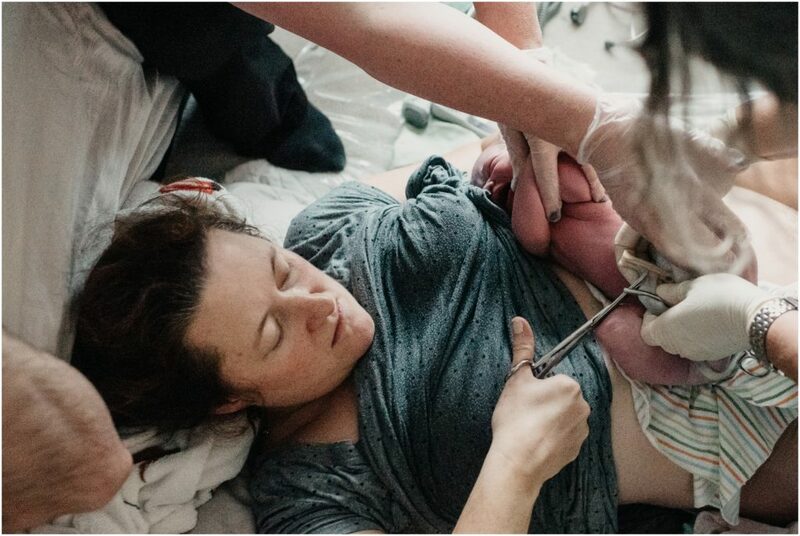 For anyone who has ever had a natural, unmedicated birth, you can literally feel EVERYTHING. I think that the hardest part (for me) is when the baby is traveling through the birth canal. 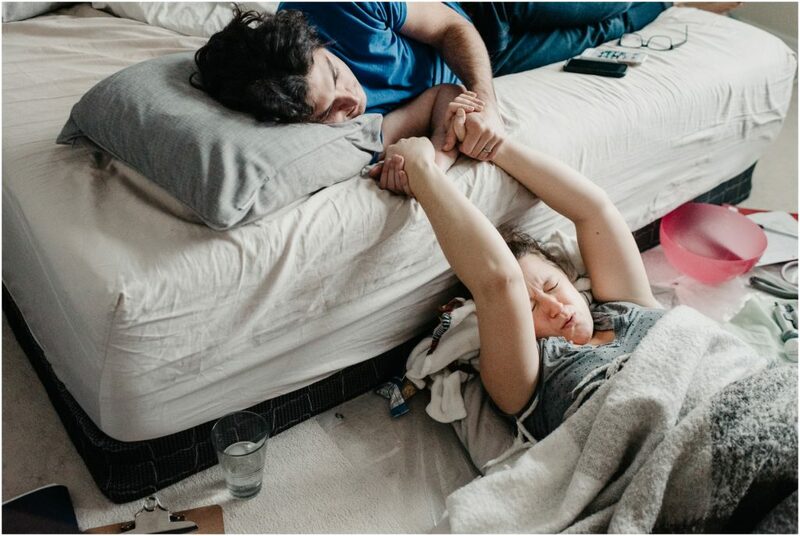 You have to wait between contractions to push, so the baby literally sits there in an extremely awkward and uncomfortable position, neither here nor there. 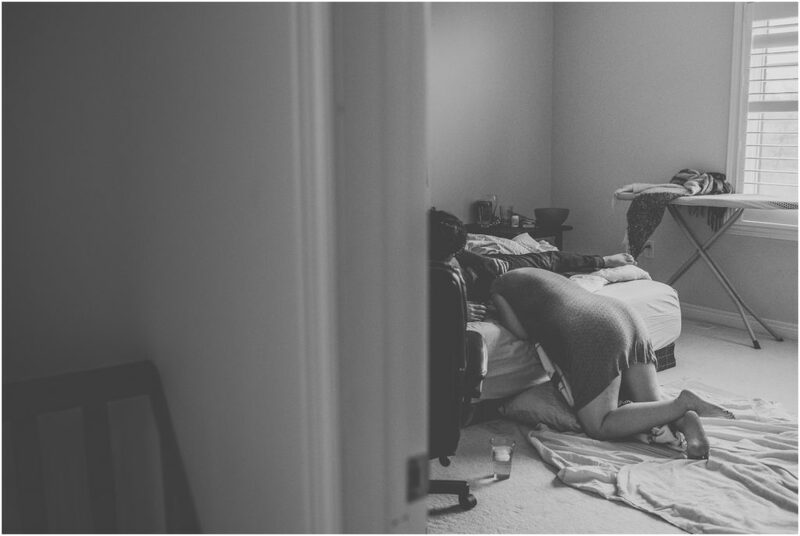 The second midwive arrived by 3:25pm, and I had tried a few positions on my bedroom floor to try and get comfortable. 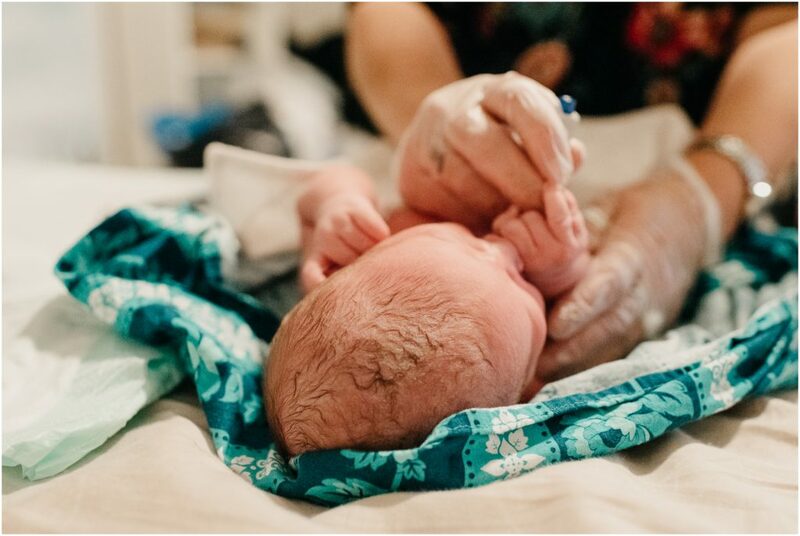 The midwives started the bath for a potential water birth, but I was already pushing and was not able to move off the floor. My water broke at 3:37pm, and it was pretty fast after that. The next contraction got him crowning, the one after that was his head, and finally his body. 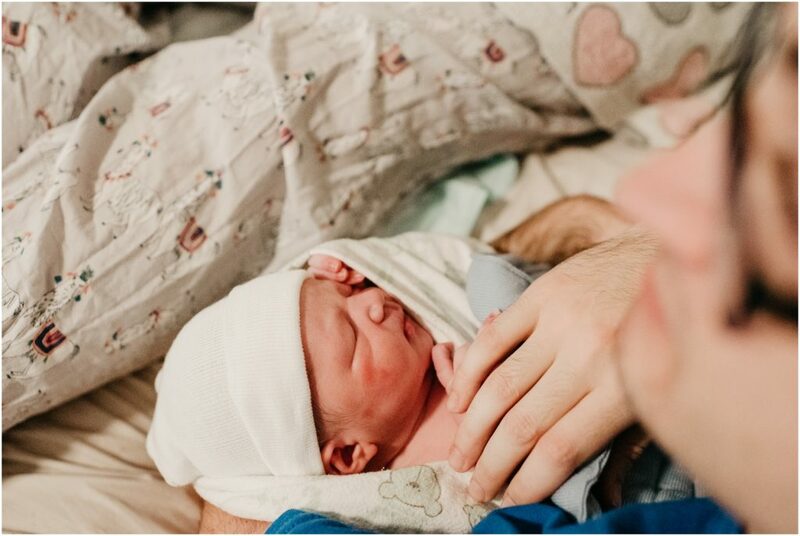 Harrison Clark (although he remained “Baby Squish” for almost a week) was born at 3:43pm on the bedroom floor, 8 lbs 13 oz. 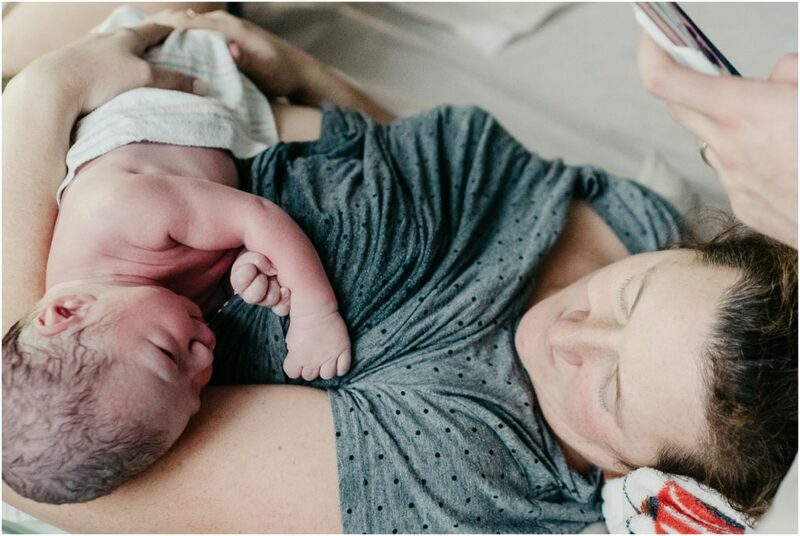 Thankfully my incredible birth photographer Megan Battersby lived 6 mins away, and was there to capture everything before the midwives even arrived! 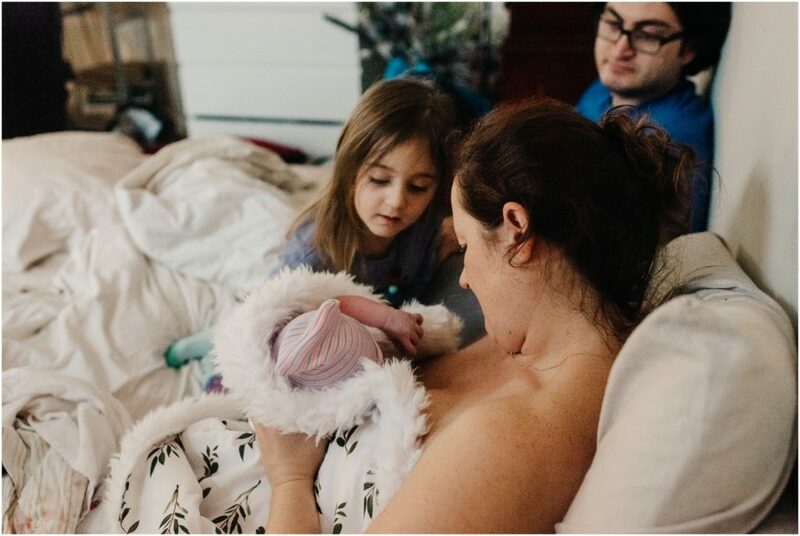 She was honestly incredible through the entire process, and played almost a dual role as a doula or birth coach, she was so calming and knowledgable. Here are a few of the (censored) photos she captured of the whole thing! 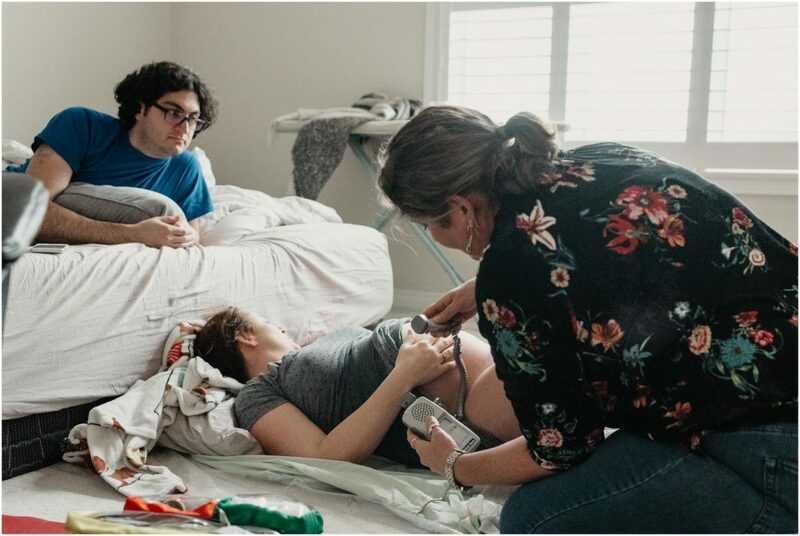 🙂 A lot of people thought i was strange for wanting to have a birth photographer. Birth is often thought of as this graphic and kind of scary thing, full of guts and gore. However, as a photographer and capturer of moments and memories myself, I see it as a wonderfully emotional and beautiful experience. 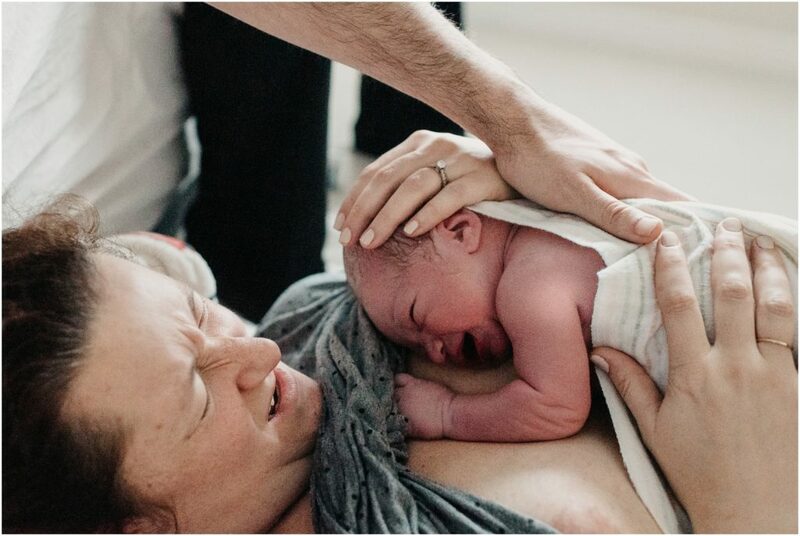 You can’t get more raw and candid then a mother seeing her son’s face for the first time, or those very first moments skin to skin, or the first time your first baby meets their sibling. 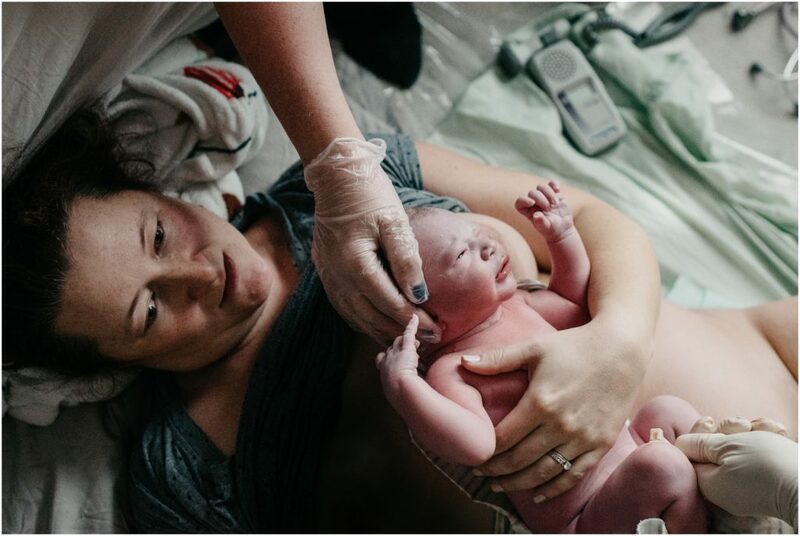 So I hope you’ve enjoyed my experience, and I hope that it sheds a bit of light on what it is like to have a home birth. 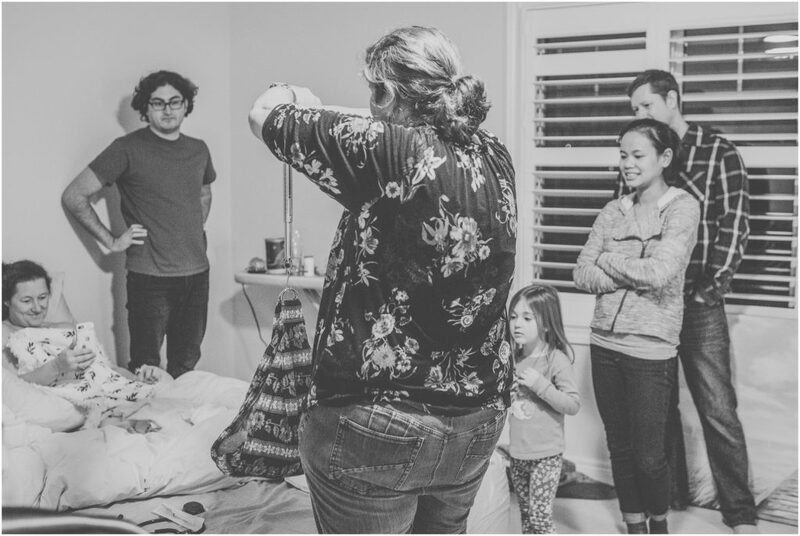 It certainly wasn’t an option I had considered at first, and a lot of people are uneasy about it (my family and husband included), but trained and skilled midwives have all of the training and tools on-hand to deal with resuscitation of mom/baby. Thankfully things went well in our case, and we had a strong healthy baby boy. 🙂 I know that it isn’t an option for everyone. But if things are normal and healthy and low-risk going in, it is an incredible experience! 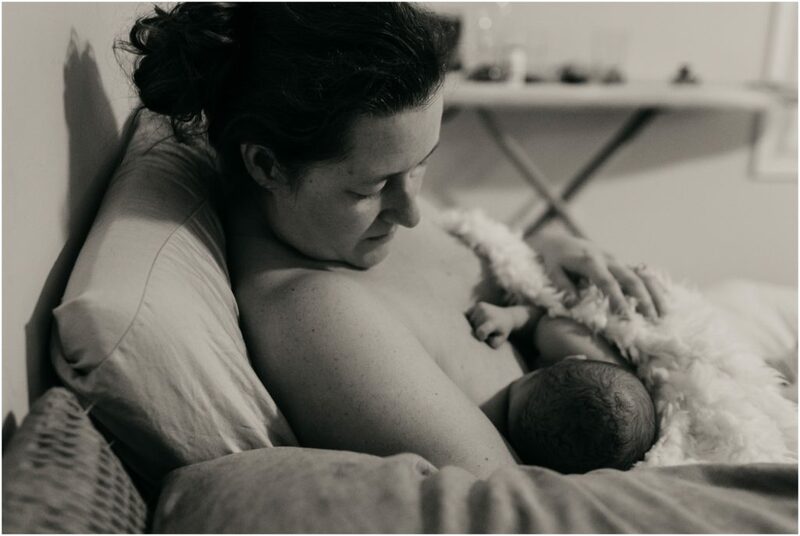 The absolutely most beautiful thing with midwives is that they make pregnancy and birth seem like a normal thing. Yes, you still can do all of the tests and screens, and monitor the health of yourself and the baby, but they treat you like a client, not a patient. 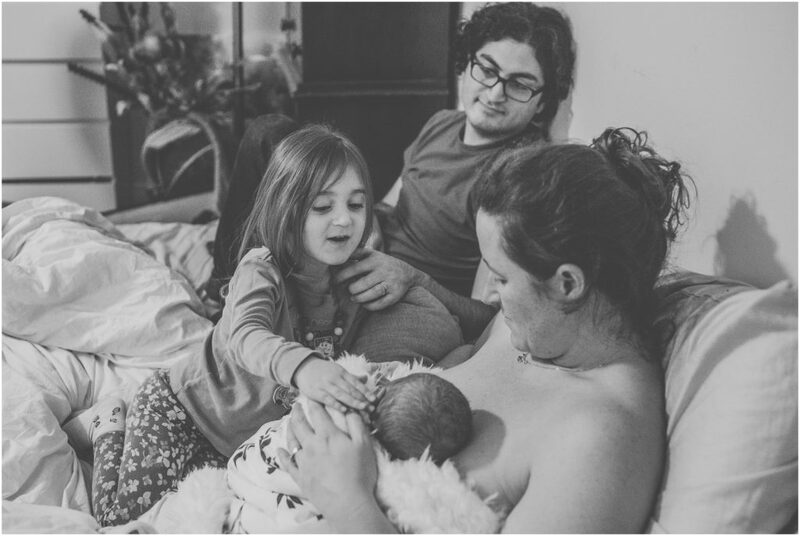 Having a natural home birth was incredible, we were already in the comfort of our own home. I wasn’t poked and prodded by nurses all night, we all got to sleep in our own bed, and my family got to come hang out and experience some of it! Recovery was amazing, I was already up and about within hours after delivery. 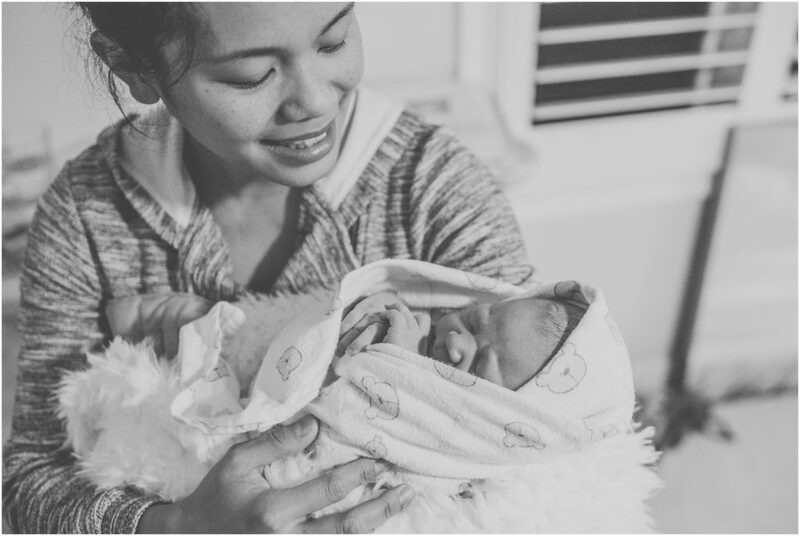 Thanks to all of the amazing staff at Sages Femmes Midwifery clinic for all of your assistance throughout this incredible journey!